The start-up is launching this amazing beekeeping system on INDIEGOGO where early backers of this crowdfunding campaign will be rewarded with discounts up to 33% and their choice of hives will ship Spring of 2019 in time for beekeeping season. 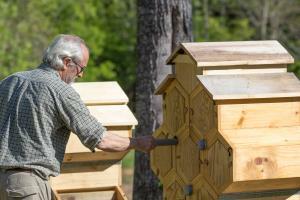 “We are pleased to be setting new standards for serious beekeepers with inventive designs for energy efficient, healthy, practical and affordable beehives,” said Doug Lambrecht, American beekeeper and Founder of Honeycomb Hives. With a vision of reimagined beekeeping, the new system offers easy full-hive access with less lifting and more profitable honey harvests than is possible with typical beehives. Furthermore, it is safer, quicker, healthier and more profitable than traditional methods. 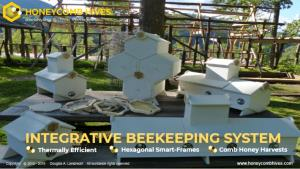 Bees thrive in tight spaces so the Honeycomb Hives System uses dividers and follower boards to enable beekeepers to tailor their hive space according to growth of their colony. The new system also features tighter details with carefully engineered hives that are more thermally efficient which means honey bees can conserve energy by spending less to keep the colony warm. 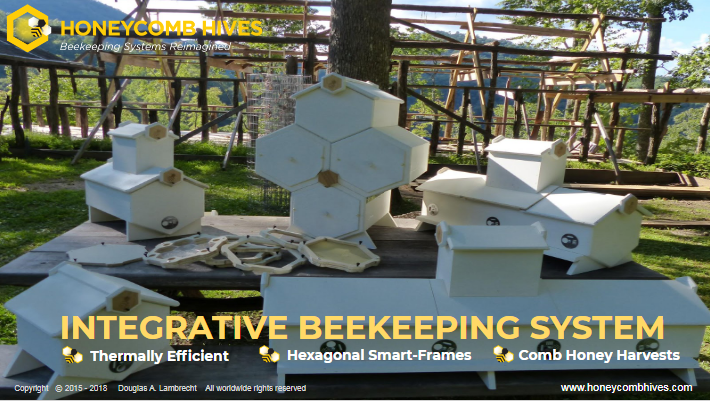 Honeycomb Hives, Inc. is a US-based start-up that aims to change the shape of beehives in gardens, backyards, farms and urban rooftops worldwide. Founded by Doug Lambrecht, Honeycomb Hives is introducing its game-changing system for more precisely keeping bees and harvesting comb honey.